Bag with removable, double-cush shoulder strap. Fully padded for optimal protection of your gear, fits with all types of snowboards. 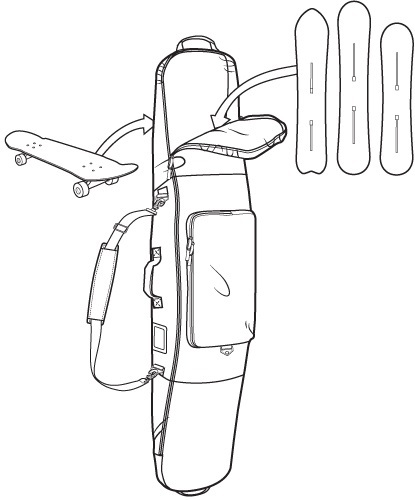 You can also transform it into a wheelie bag by strapping your skateboard to the bottom. Made from strong 600D Polyester.